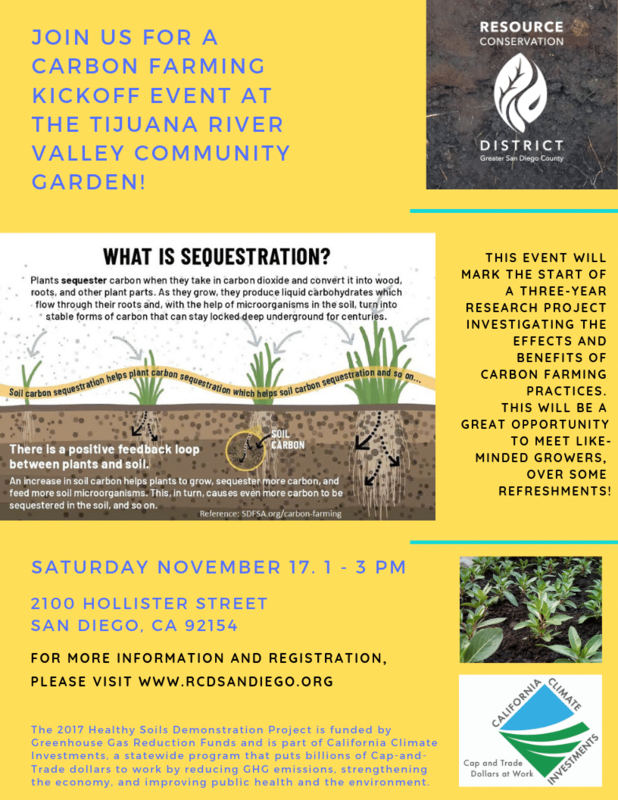 The RCD launched its carbon farming demonstration project this summer on a quarter-acre plot at the Tijuana River Valley Community Garden. 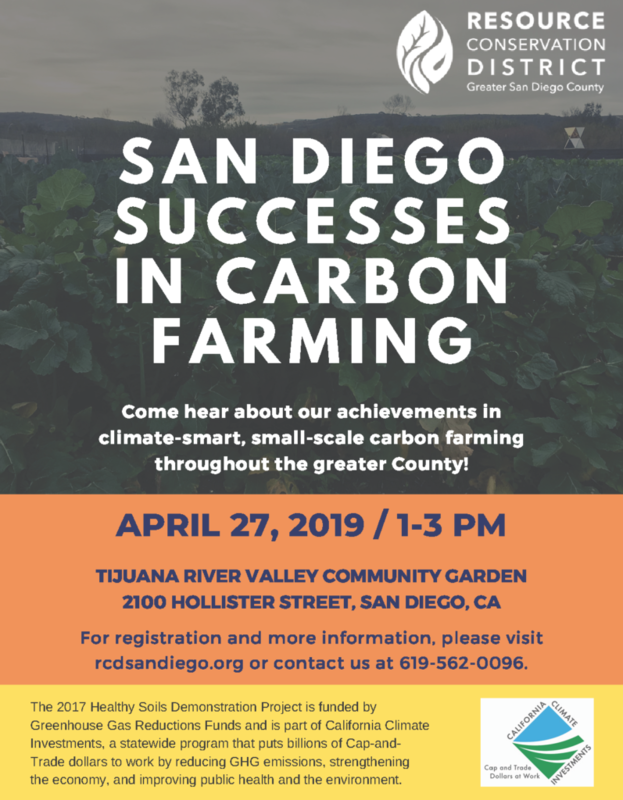 This project, funded by the CA Department of Food and Agriculture, will implement three carbon farming practices and aim to demonstrate the benefits to soil quality, water holding capacity, and crop yield. Join us to learn more about carbon farming and this demonstration project at our Kick-off event on November 17! Register here.